Ares: A Defense Technology Blog: I Got Slimed! Most Army units tasked with providing chemical and biological defense support are not adequately staffed, equipped, or trained to perform their missions. 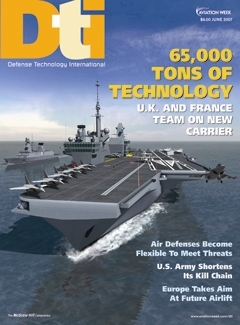 Although the 2006 Quadrennial Defense Review and current operational plans highlight the need to mitigate WMD attacks at home and abroad and DoD has doubled its investment in chemical and biological defenses since 2001 and plans to increase funding for this program during fiscal years 2006 through 2011, there is a misalignment between the high priority DoD states that it places on chemical and biological defense and the current low level of chemical unit readiness. Most of the Army's chemical and biological units, particularly in the National Guard and Reserve, are reporting the lowest readiness ratings -- meaning that they are not considered sufficiently qualified for deployment. This situation reflects critical personnel shortages, particularly in their key occupational specialty -- chemical operations -- and shortages of mission-critical equipment, such as decontamination equipment.